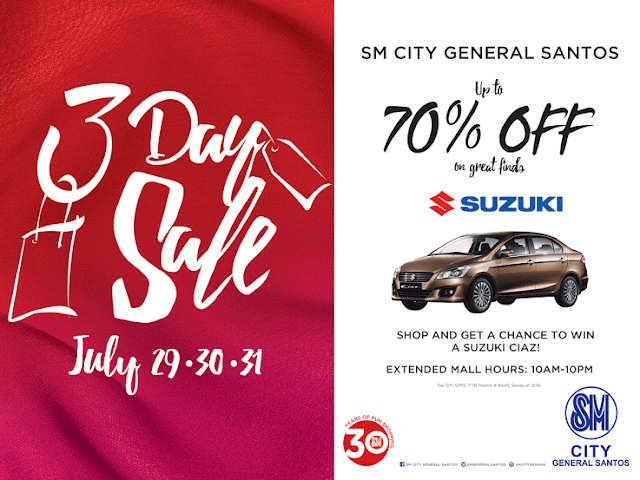 SM City General Santos is Giving Away Brand New Suzuki Car and more on its Grand 3-Day Sale ! The most awaited grand sale in SOCCKSARGEN is happening again as SM City General Santos kicks off their 3-Day Sale on July 29, 30 and 31 with up to 70 percent discount on great finds. On July 29, from 10:00am-12nn, all shoppers with SM Advantage Card (SMAC) can avail 10 percent discount on the top of existing promo on all items from The SM Store, Watsons, SM Appliance, Surplus, Toy Kingdom and Ace Hardware. A brand new Suzuki Ciaz Car will be given away to one lucky shopper! For every P1, 000 single or accumulated purchase from July 29-31 from any establishment of SM City General Santos, entitles the shopper to one raffle coupon and get double raffle coupon on July 30 and 31 purchases. Redemption booth is located at The Event Center. 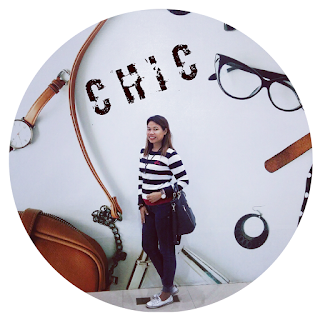 Go crazy with the shopping treats and freebies that will surely satisfy the errands madness! Get a pizza, or a tall drink from Starbucks for FREE! The first 30 shoppers who can present SM Advantage Card (SMAC) at the redemption booth at 10am on July 29-31 will get the chance to have free box of pizza from Pizza Hut. 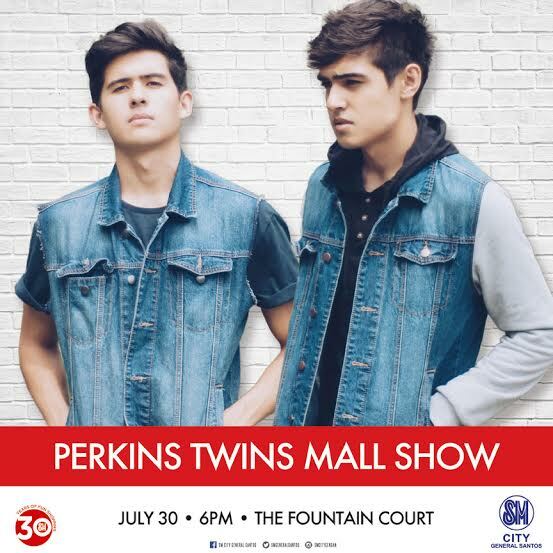 On July 30 and 31, Starbucks offers 3pm madness and give away free Starbucks tall beverage coupon for the first 30 shoppers to present SMAC at the redemption booth at 3pm. Mesa Filipino Moderne also offers One Piso iced tea voucher for the first 50 shoppers on July 30 and 31 who can present SMAC at the redemption booth at 1pm.